At 10:30 a.m. daily, join us on the International Stage, Hall 5.1 (A128), for talks on the industry and subscriptions, publishing and politics, and augmented reality at its most practical. While at Frankfurter Buchmesse, don’t miss our daily Publishing Perspectives Talks events on the International Stage: Hall 5.1, A128. We’re onstage each morning at 10:30 with newsmakers—incisive conversation and important talking points from the trends and issues we’re covering. Please join us for brisk conversation and new concepts in publishing. Friday 12 October 10:30 a.m.
Can AR Actually Augment the Realities of Publishing? 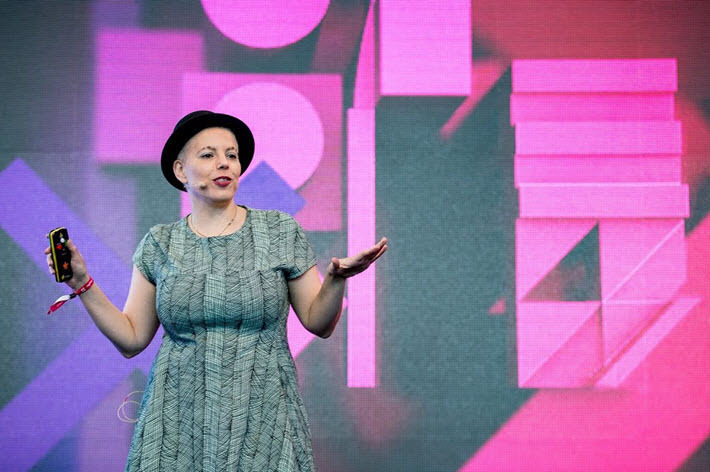 One of the leading thinkers in Augmented Reality, the Netherlands’ Galit Ariel sits down with Publishing Perspectives Editor-in-Chief Porter Anderson to talk about whether it’s realistic to see real traction ahead for AR in publishing. Could it be a distracting novelty instead of a genuinely marketable asset to publishers and readers? 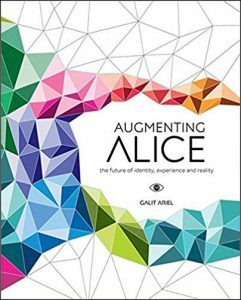 The author of Augmenting Alice: The Future of Identity, Experience and Reality (BIS Publishers, 2017), Ariel brings both design thinking and brand-narrative expertise to her understanding of the potentials and the limitations. Join us for a lively, pointed conversation. 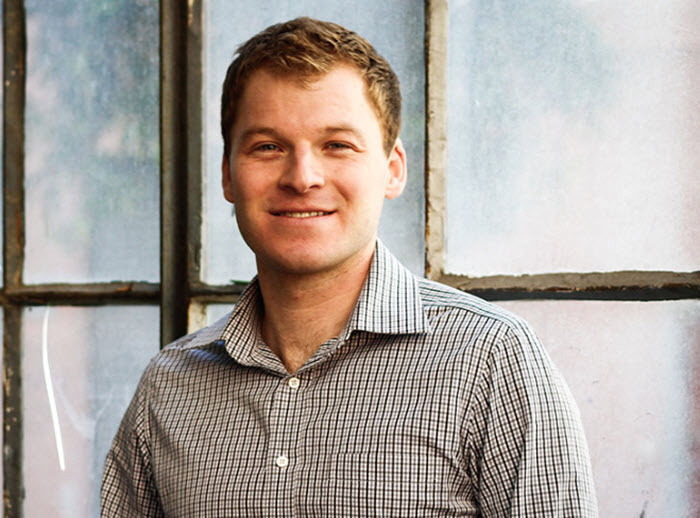 Trip Adler, co-founding CEO of San Francisco-based Scribd looks at how his service, founded in 2007, has grown to draw more 700,000 paying subscribers. His employees from more than 20 countries offers content from some of the biggest publishers in the world, including Penguin Random House, Simon & Schuster, Hachette Livre, HarperCollins, and Macmillan. But there was a time when the service–which offers ebooks, audiobooks, and comics–was endangered and actually contracted in order to succeed, where other services failed. The gamble paid off. And in this conversation with Publishing Perspectives Editor-in-Chief Porter Anderson, Adler talks about what it takes to create a viable subscription model in today’s market. 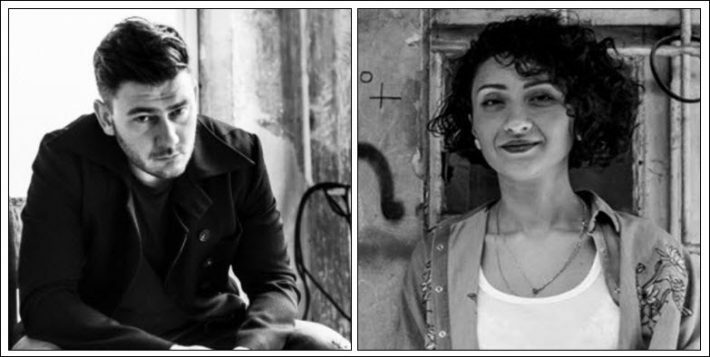 Thursday 11 October 10:30 a.m.
Dmitry Glukhovsky, the Russian author of the Metro series and the all-new (and very political) Text from publishing house AST, and Gvantsa Jobava, Tbilisi-based publisher with Intelekti and director of the publishing program for the (ravishing) Georgia Guest of Honor installation here at Frankfurt Book Fair. In one of the most politically charged seasons in recent memory, the autumn is set to see a plethora of political books on world markets. In this discussion with Publishing Perspectives Editor-in-Chief Porter Anderson, these players in the political relevance of publishing look at such issues as what impact a publishing house’s political titles can have on its reputation; how authors fare in the glare of the political heat; and do political books “travel” in terms of foreign rights? Hot-button issues compete for attention, and today’s political upheavals evolve and shift with unprecedented velocity: how best does publishing capture this energy and play its role in the most important national and international debates of the day? 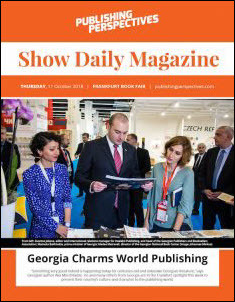 Download our Publishing Perspectives Show Dailies published at Frankfurter Buchmesse so far this week. And watch for Friday’s edition when you arrive at the book fair tomorrow, October 12. 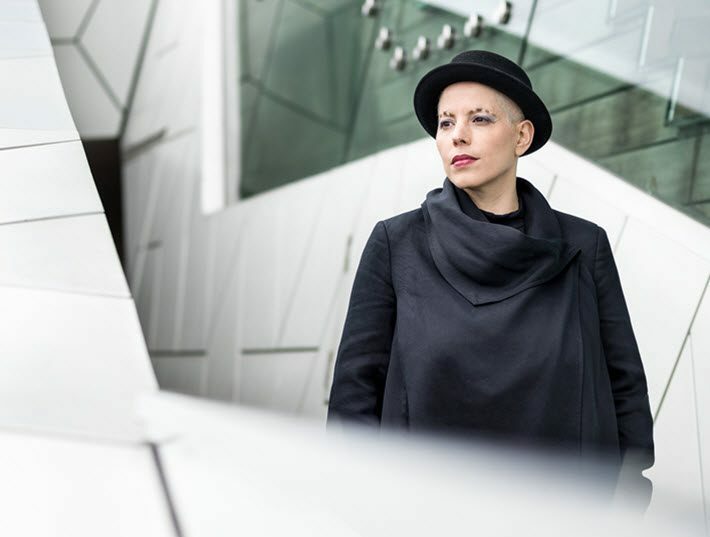 Join us at 10:30 a.m. Friday for our Publishing Perspectives Talk with augmented reality specialist Galit Ariel, on the International Stage, Hall 5.1, A128.